The research group NANOMOL from the Materials Science Institute of Barcelona (ICMAB-CSIC), the CIBER-BBN and TECNIO catalan Network, has been selected finalist of the second edition of the contest VALORTEC of ACC1Ó in the "Innovative Technology-Based Companies category", thanks to the project Medical Sensors. In this first stage of the contest a total of 102 applications have been submitted, from which the jury has selected only 10 as finalists in each category. The Medical Sensors project is based on the use of organic materials for the manufacture of pressure, deformation and temperature sensors of high performance and aims to transform the prototypes developed by the Research Group NANOMOL into commercial products in the area of medical devices, with ability to provide clinical professionals with an innovative tool for patient monitoring. During the month of December there will be the second phase of the process through delivery, presentation and evaluation of business plans developed. Winners will receive a € 10,000 first prize and a second of 5,000 €. A la investigadora de l'ICMAB Dra. 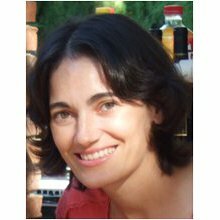 Marta Mas-Torrent li ha sigut concedit un projecte ERC Starting Grant amb titol "Surface Self-assembled Molecular Electronic Devices: Logic Gates, Memories and Sensors (e-GAMES)".